Walnut Creek implant dentist, Dr. Ricky Singh offers extractions and immediate placement of dental implants. At Shadelands Dental in Walnut Creek, we offer a variety of dental implant procedures to meet the diverse needs of our patients. Sometimes it is preferable or necessary to extract a tooth and perform the implant procedure immediately so our patients does not need to — in the case of a broken tooth or teeth, for example. Removing the existing tooth and/or root. Simultaneously placing the dental implant, which is the foundation structure embedded in the jawbone. Placing the temporary crown, which is the new tooth you see in your mouth that is held in place by the implant. – A more permanent restoration will be added later. The immediate placement of dental implants ultimately reduces the amount of time you’ll spend at the dentist getting work done as it combines two different procedures into one. In all, the treatment period is faster. Usually, we can remove the affected tooth, place the implant, and attach a temporary crown all in the same visit. In many cases, the success rate of the procedure is equal to a more traditional, delayed dental implant procedure where every step is split up into separate dental appointments. Could I Be a Candidate of Immediate Implants? To know whether you are a candidate for tooth extraction and immediate dental implants, there are a few factors to consider. Infection. No infection can be present to proceed with extraction and an immediate dental implant. That is, there cannot be any inflammation, gum disease, etc. We’ll need to treat any infections prior to placing a dental implant. Bone density. There must be sufficient bone density to place a dental implant. If your bone has deteriorated at all, healing and/or bone grafting needs to occur to allow for the stable placement of your implant. Fortunately, unless you have issues with infection or bone density, you are probably a good candidate for tooth extraction and an immediate dental implant. 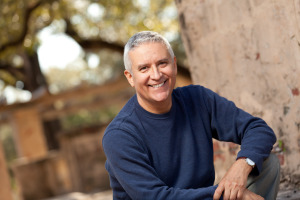 At Shadelands Dental in Walnut Creek, we pride ourselves on the comprehensive dental implant services we offer and tailor to the unique needs of our patients. Making the choice to get a dental implant isn’t always easy, but you can rest assured we’ll work with you to find the solution that’s right for you. To find out if you’re a candidate for a dental implant procedure, contact us today at our Walnut Creek office. We’ll set up an initial appointment for examination and to talk about your options.